For every Ohio football game, Speakeasy Sports will be going into the den of the opponent to get first-hand analysis. By reaching out to team beat reporters, Speakeasy provides a unique look-in at how the ‘Cats will fare against their adversaries. In a question-and-answer format, Speakeasy chats with another team’s reporter to gain a new perspective on Ohio’s opponents. 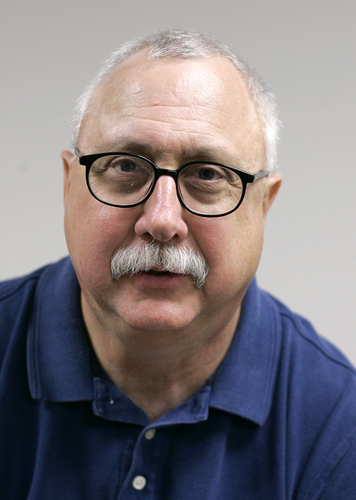 This week, Speakeasy talks to Sentinel-Tribune sports editor Jack Carle. You can follow him on Twitter at @jncarle. Jack Carle covers the Falcons for the Sentinel-Tribune. 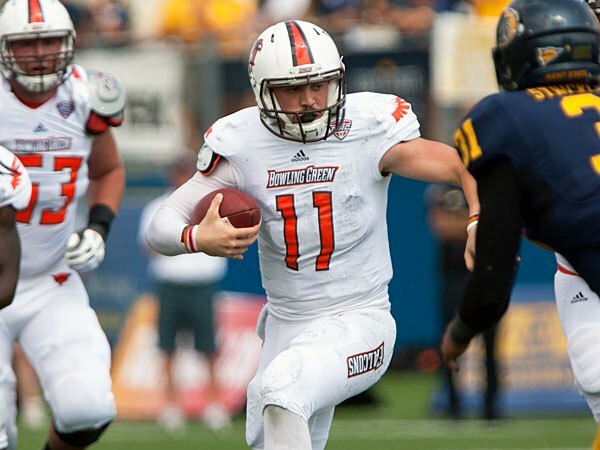 Speakeasy Sports: Why do you think Bowling Green made the switch from three-year starter Matt Schilz to sophomore quarterback Matt Johnson? Jack Carle: I think that it was Schilz’s job to lose. Matt Johnson is more mobile and can make some plays with his feet, and I think that was something that Schilz didn’t know. Schilz was okay and had some good numbers. Bowling Green won two games his first year, five games his second year and then last year they did make it to a bowl game, but they couldn’t win the big game other than the game at Ohio, and that was partly because Ohio was banged up. I think they thought it was time for a change, and maybe the younger guy would be a little more mobile and be able to instill a little more life in the offense. SS: How has the offensive line been able to supplement Johnson’s efficiency this season? JC: The interior three are experienced. They all have played at least two years. The center is a JUCO transfer from Hawaii, so he’s a fourth-year player. Dominic Flewellyn is a four-year starter and Alex Huettel is a two-year starter. The two new tackles, they have both held up pretty well. Toledo kind of abused them [this past Saturday] with the pass rush, but for opening holes for [Travis] Greene, they’ve done a real good job. They do a lot of zone read game inside the tackles and the three guys on the inside are pretty stout and they’re able to get a little push and a little room for him to run. SS: Who are some potential x-factors on the BG offense who could breakout and have a big game? JC: One would be Heath Jackson; I think he’s going to get a chance to play with some injuries in front of him at wide receiver. He’s a real athletic kid. He’s got the speed to be a guy who can be a big difference maker. And for another unknown or x-factor, I’m going to drop down to the tight end. Alex Bayer is a fifth-year senior and he can catch the ball, he’s a real good run blocker. He might be the guy that might surprise somebody with a big catch late in the game. SS: With the stellar play of Greene lately, despite losses to Mississippi State and Toledo in two of the last three games, how has the BG running back been able to pace his team during tough stretches? JC: Just by the way he plays. He’s got the right attitude, and if the play is a loss or doesn’t go anywhere, he’s ready for the ball the next time. It doesn’t look like he sulks or anything. He’s active with his teammates and he’s just ready for the next carry. He doesn’t let the last carry bother him, whether it’s good or bad. They moved him over from wide receiver, so I think he’s really surprised a lot of people with his ability to run the ball. SS: Bowling Green and Ohio’s defenses are ranked among the best in the MAC in terms of yards, scoring and red zone defense. But really both teams have filled big defensive holes with new starters. How has BG adjusted to this change? JC: I think one person who was part of the three-man rotation at linebacker last year. D.J. Lynch has really come on, and he’s playing full-time beside Paul Swan. He’s a playmaker and a high-energy guy, as his coaches like to say. Up front there has been a walk-on, Taylor Royster, and he’s getting some snaps at nose tackle. He’s not very big, but he’s kind of wide, and it seems that every time he’s in there he’s in the middle of the pass rush or stopping the run. SS: With Bowling Green’s defense ranking in the Top 10 in the nation in scoring defense, only surrendering 16.8 points per game, how has this D really been able to buckle down in the red zone? JC: Teams haven’t been able to score on them, so that’s helped. They did hold Mississippi State to three touchdowns, so I think there are a lot of veterans on defense that make a difference. Swan is a fifth-year senior at linebacker, the line is pretty veteran, they have BooBoo Gates in the back who is a fourth-year senior, and they have two seniors at corner. So I think a lot of it is experience, and those guys don’t get rattled. If something goes wrong on one play, they’re right back in it on the next play. SS: Can you give me a score prediction for Tuesday night’s matchup? JC: I think Bowling Green is able to pull it out, 27-24.